View the hardware and software requirements for Geocortex Analytics, and the ArcGIS and Geocortex Essentials versions that it is compatible with. Download Geocortex Analytics from the Geocortex Support Center. Install Geocortex Analytics and perform the initial configuration. Alarms let you know when something in your GIS needs attention. The Summary page provides a live summary of the most important information about your system, such as active alarms. The Status page shows the current status of the applications, servers, services, and websites in your system. The Trends page allows you to monitor patterns in your GIS data and make important decisions about your GIS infrastructure. 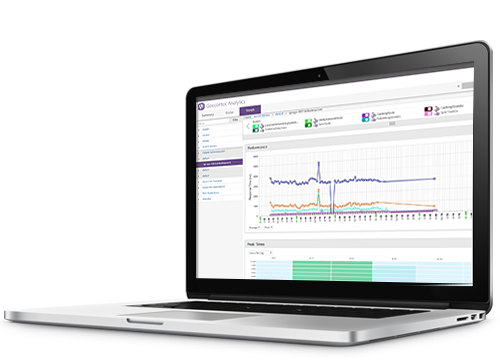 Custom dashboards allow you to organize your system’s analytics in ways that make sense to you.